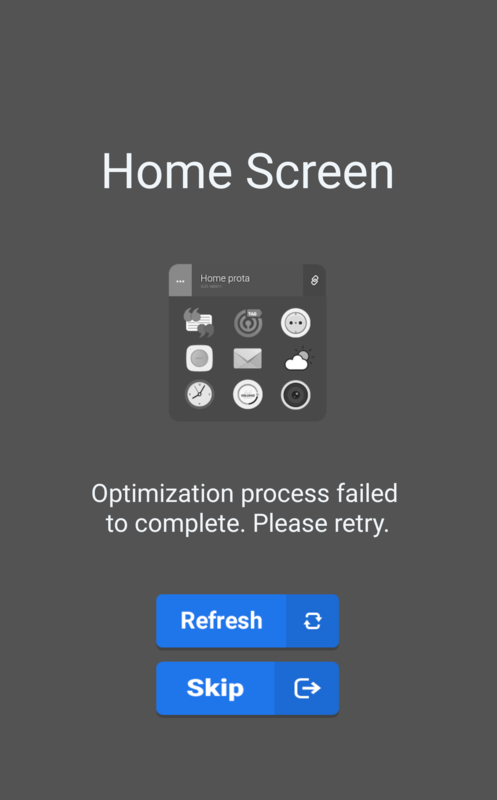 Before entering an app or your Prota's Homescreen, an optimization process takes place. The main point of the optimization is storing cache data of Prota's resources in order to allow a faster loading the next time it is used. If this error happens, simply use the 'skip' button to access the app. Skipping the optimization process may not have any impact on your user experience if your network is fast. However, if your network is rather slow, the apps may take more time to load each time you wish to switch from one app to another one. However, you will still be able to access your Prota and use the apps normally.